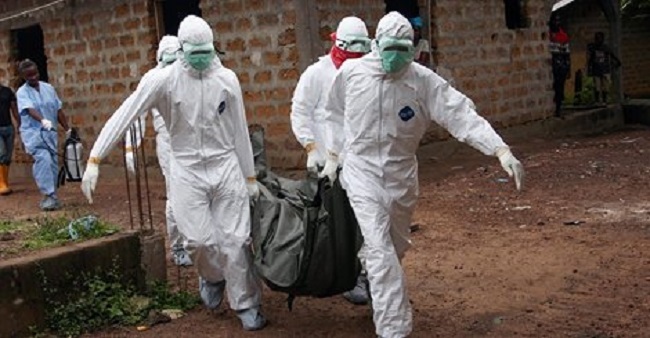 The Democratic Republic of Congo has announced it is sending a five-man professional medical team to Liberia on Wednesday, August 20 to help the fight against the deadly Ebola Disease. The team will include two medical doctors and three para-medical professionals. The decision to send the medical team to aid Liberia in its Ebola fight was made by President Joseph Kabila Kabange through the efforts of the Embassy of the DR Congo accredited near Monrovia. The special medical team from the DR Congo will be led by Professor Dr. Muyembe Tafum Jean Jaques, coordinator of the DR Congo Ebola Control Team. Other members of the team are Dr. Mukendi Kalambayi, internist in charge of Control Infection, Muyembe Baby, lab technician in charge of collecting, keeping and controlling specimens, Yongolele Riziki, biologist in charge of bio-security and Mrs. Akonga Okito, lab technician and analyst. Speaking when he paid a courtesy called on Liberia’s Foreign Minister Augustine Kpehe Ngafuan on Tuesday at the foreign ministry, Tony Nzinga, chargé d’affaires of the DR Congo announced his government’s intention to help Liberia’s Ebola fight. He noted that President Kabila and the people of the DR Congo were greatly concerned about the situation in Liberia and are in deep sympathy with Liberia for the lives lost so far. It can be recalled that DR Congo experienced similar Ebola outbreak in 1976 but was able to overcome it. Nzinga said he is hopeful Liberia will overcome the situation. For his part, Foreign Minister Augustine Kpehe Ngafuan said he was overwhelmed by the offer from the DR Congo especially with the experience the country has in combating the Ebola virus. On behalf of President Ellen Johnson Sirleaf, the Government and People of Liberia, Minister Ngafuan extended profound thanks and gratitude to President Kabila and the Government and People of the DR Congo for the gesture. Minister Ngafuan remarked that true friends are known when you are in difficulty and the action by Congo has shown that the country is a true friend and partner. The Foreign Minister assured that the Liberian people will be appreciative and eternally grateful to know that experts are coming from the DR Congo, a country that witnessed the first outbreak of the disease in 1976 in areas adjoining the Ebola River, from where the virus got its name.